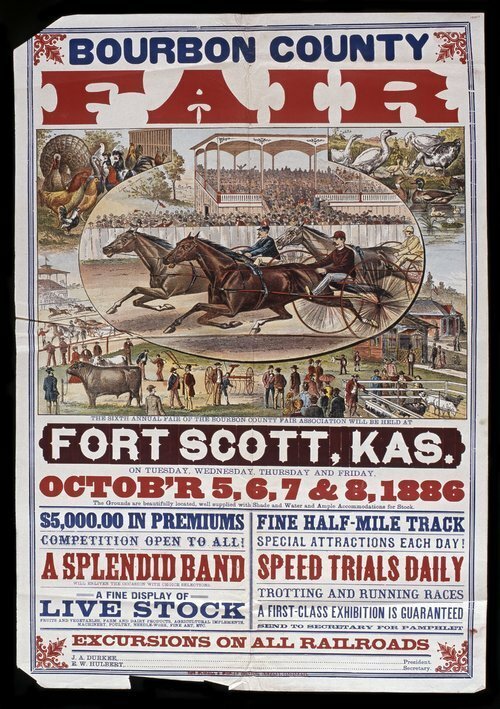 This poster announces a fair to be held at Fort Scot, Kansas, sponsored by the Bourbon County Fair Association. Highlights of the fair include a good band, speed trials, $5,000 in premiums. The poster includes color illustrations of livestock and sulky racing. Fair officers are J. A. Durkee, president, and E. W. Hulbert, secretary.